I love the cover to Firestorm vol. III #19 by Matt Haley! 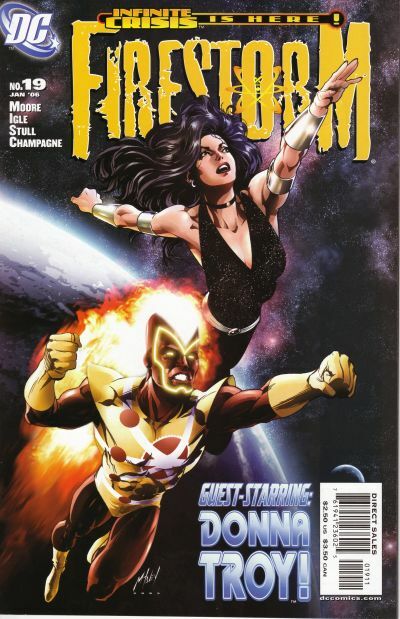 What makes this cover special is the beauty of deep space, the glow of Firestorm’s nuclear aura, and the breathtaking Donna Troy. Wow! It’s gorgeous! This was an interesting time for Jason as he was wearing a costume very similar to the classic Firestorm. Jamal Igle described it as an “interim costume”, between issues #13 and One Year Later. Below you’ll find the uninhibited cover art. Click the image to enlarge. Below is the cover including the trade dress noting the connection to Infinite Crisis. Did I mention Donna Troy is super-hot? Okay, just wanted to be sure. 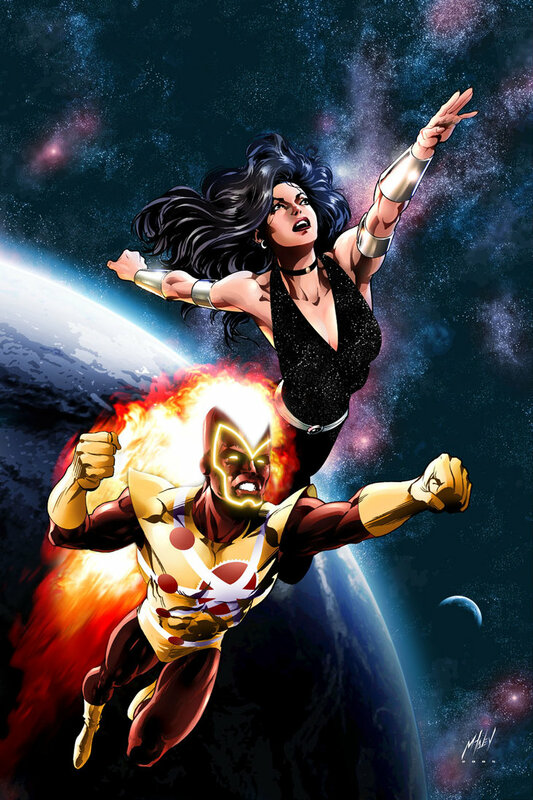 Support Firestorm (and Donna Troy)! Fan the flame! Posted in: Comic books, Firestorm #06: Jason beginner, Firestorm comic vol. III, Jason Rusch. Ever notice that Moore, Igle, Stull and Champagne spell “Misc.”? That’s our miscellaneous crew for this month.